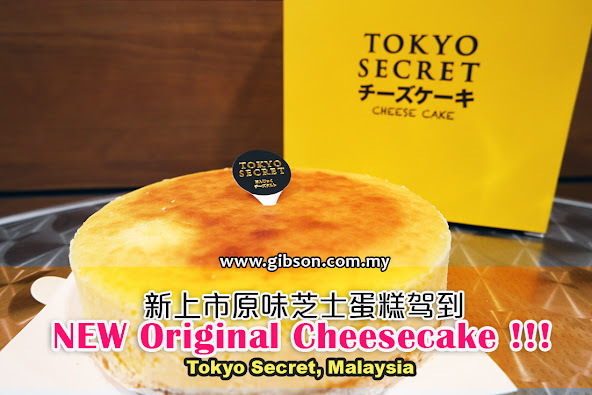 Tokyo Secret Malaysia is now selling Original Cheesecake too! It is available starting today (18/6/2017) which was just launched at the Gurney Plaza’s outlet this morning. In their facebook page it is stated, “A birthday celebration is not complete without a cake! That is why we are launching our new cheese cake”. Tokyo Secret just celebrate their 1st Anniversary in Malaysia last month, and this new product is in-conjunction with the celebration. Tokyo Secret is best-known with their Hanjuku Cheese tart, so the new cake is set at a very high standard in order to stand the test of time. At least now we know where to look for good cheesecake. Even though there is a new cake on the menu, we still never forget their usual delicious tarts. 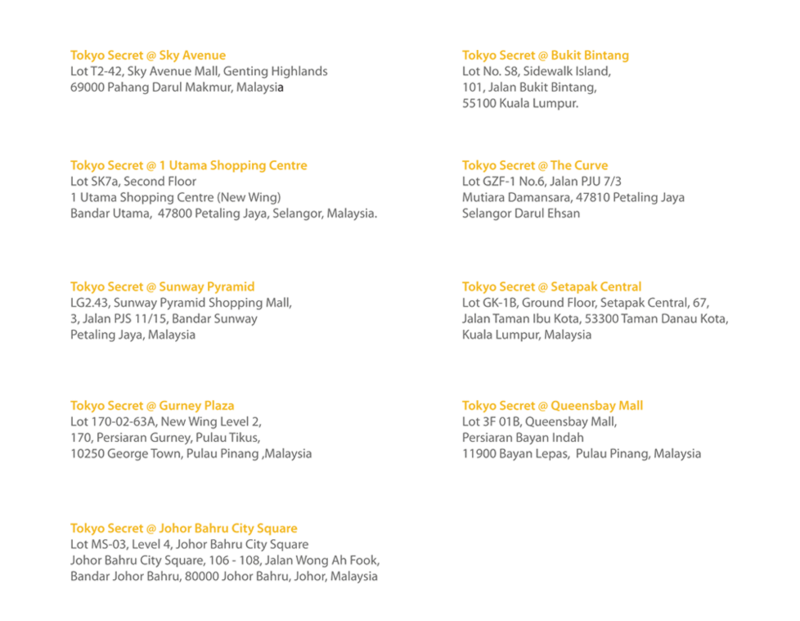 Here is the list of prices. Tokyo Secret is good with their drinks too, here are some of their signature drinks from their outlets. 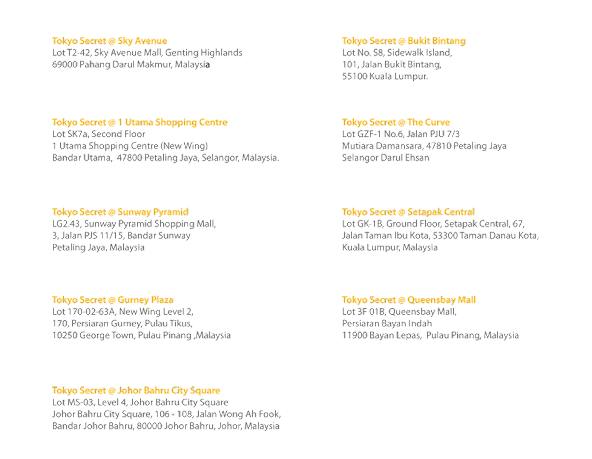 Tokyo Secret has several outlets in Malaysia.